Economics for the Common Good is the latest publication by the 2014 Nobel Prize winner in economics, Jean Tirole. Among his numerous accolades, Tirole is currently the chairman of the Toulouse School of Economics and the Institute for Advanced Study at Toulouse 1 University Capitole. Some of his most notable books include The Theory of Corporate Finance (2005); Financial Crises, Liquidity and the International Monetary System (2010); and The Prudential Regulation of Banks (1994). Throughout his academic career Tirole specialised in macroeconomics, game theory, and methods of industrial organisation and competition policy (for which he was also awarded the Nobel Prize). Economics for the Common Good stands out as thoroughly distinct from his previous work both in vision and content. First, the book is aimed at the general public rather than a specialised audience. Tirole is masterful in using simple language to convey highly complex issues. From climate change to competition policy, the digestible way in which Tirole presents these topics make them accessible to a much wider audience. Secondly, the book spends a good deal of time looking introspectively. It considers the role of economics and economists themselves within society. So, what does Economics for the Common Good aim to achieve? At a foundational level the book aims to educate. Tirole himself admits that the common thread of the book is a line of inquiry that is heavily based on Information Theory. This theory holds that economic actors (such as households, companies, or governments) suffer from limited, or “asymmetric information” (p. 12). They simply do not have the necessary information or knowledge to make the best decisions and produce the best outcomes. In consequence, a poor understanding leads to poor decisions. This in turn often results in bad public policy. In an age where populism seems to triumph over expertise, Tirole aims to fight back. He seeks to re-establish the role of economists in the public sphere. At a more elevated level, the book argues for the promotion and advancement of the common good. The role of economics is ultimately to serve society by helping others understand and solve complex issues – both at the micro and macro levels. Tirole is a firm believer that markets can, and must, incorporate questions of morality. He recognises the vast benefits of a free market economy but also warns against the dangers of its abuse – particularly in areas such as healthcare, trafficking in human organs, and employee incentives. He sees the “common good” as “our collective aspiration for society” (pp. 2-3). Tirole’s definition and use of the “common good” does not have any sociological or theological underpinning. He uses it in a rather mechanical fashion. Tirole is after all an economist and, like any good economist, he primarily looks at the form and function of a concept like the “common good.” In this sense, he prefers to leave out the private dimension (such as religion, moral values or spirituality), because regardless of the social structures, “people’s opinions differ profoundly” (ibid.). 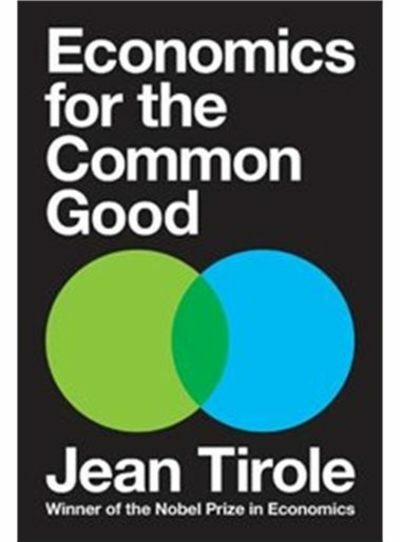 This leads Tirole to understand the common good as answering the following question: “In what social system would you like to live?” What society would be most advantageous for anyone to pursue his or her own aspirations? Yet he also recognises the inherit subjectivism of this approach and thus, specifically places the emphasis on “what kind of social system” rather than “what kind of ideal society”? (ibid.) Economists and academics have a responsibility to work towards making the world a better place. Tirole leaves aside the private and tries to focus on the public dimension. It is also from this birds-eye view that capitalism and the free markets can become a force for good. These systems allow people to pursue their own ends, including those inspired by faith. Tirole is a firm believer that markets can, and must, incorporate questions of morality. Chapter seven speaks to some length corporate governance and the social responsibility of business. First, Tirole views governance as the heart of a company’s management (p. 174). The allocation and concentration of decision-making power within a company’s structure is crucial to how that company will be run. Secondly, the social responsibility of a company can incorporate three major approaches: long-term sustainable development, ethical behaviour, and philanthropy (p. 186). Each of these offer the private sector more potential to act as a force for good. However, Tirole recognises that their exercise is subject to popular demand – that is, consumers, employees, and other stakeholders must request that corporations engage in them. In terms of structure, Economics for the Common Good is a significant piece of work. It’s 500+ pages are divided across seventeen chapters and organised along three main sections. The first section (chapters 1-7) looks at the role and influence of economists in society. Again, central to the message of the book, Tirole argues that “the duty of an academic is to advance knowledge … but academics must also collectively aim to make the world a better place … Consequently, they cannot refuse, as a matter of principle, to take some interest in public affairs” (p. 69). The second section (chapters 8-12) focus on the macroeconomic challenges of our time. From climate change and the European Union, to labour markets and the financial crisis of 2008, Tirole offers a succinct but piercing analysis of each. Yet what is even more remarkable is that he refrains from overly promoting a political message or adhering to any clear-cut ideological line. He summarises the issues and allows the reader to make up his or her own mind. On the future of Europe, for instance, Tirole argues that Europe is effectively at a crossroads. There are only two real options for the long-term: One would be a continuation of the status quo – which is primarily based on the evolution and “ever-closer union” of member states through the Maastricht Treaty. The other would be moving towards a more federal system. This would involve a greater deal of risk sharing among nation-states but could yield a more robust and resilient European banking union. At the heart of the issue is a zero-sum game between national sovereignty and greater risk-sharing (p. 290). The third section (chapters 13-17) looks at industrial challenges, competition policy, and the future of regulation. He speaks in some depth about the dynamics of online shopping. If in the past we were limited to our local stores and shops, our newly found access to a global marketplace leads us to suffer from “too much choice, not too little” (p. 380). The digital revolution will significantly impact all sectors of the economy, from employment and innovation to our tax system (p. 423). The book is sometimes compared to Thomas Piketty’s Capital, but the comparison is unjustified. While Capital is narrow and has one main focus – the issue of global inequality – Economics for the Common Good covers a broad spectrum of economic issues. In analysis and purpose, one could argue that Tirole’s work is head and shoulders above Capital. In summary, clarity of thought and breadth of knowledge shine throughout the book. If there is anything to critique, it may be that Tirole is too ambitious. Maybe he tries to cover too much ground at the expense of depth (although the book was never intended to cover its themes exhaustively). It is above all an educational publication that seeks to re-affirm the role of economists in advancing the common good. While you might not agree with Tirole on every issue, Economics for the Common Good remains an outstanding piece of work written by one of the finest minds of our time. This article was first published on the Acton Institute Transatlantic Blog. “Economics for the Common Good” was published in 2016 by Princeton University Press (ISBN 0691175160, 563 pp). 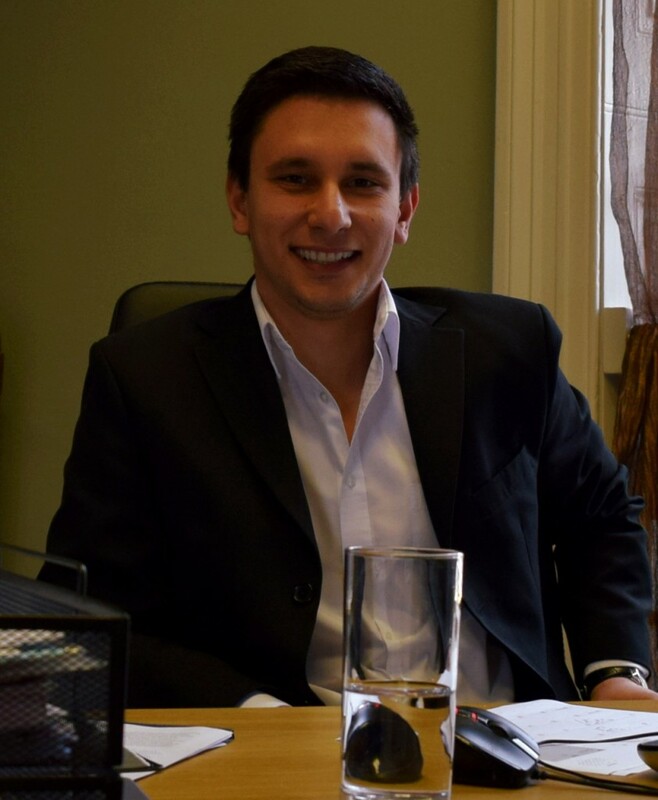 Andrei Rogobete is a Research Fellow with the Centre for Enterprise, Markets & Ethics. For more information about Andrei please click here. 31 Beaumont Street, Oxford, OX1 2NZ, UK. Copyright © 2019 Centre for Enterprise, Markets and Ethics. All rights reserved.